We are an organization with a small staff and a dedicated volunteer team. We care about the destiny and welfare of companion animals. Our mission is to promote an excellent quality of life for the animals of Calaveras County. We seek to involve and engage the greater community in achieving our mission. We Are A Local, Non-Profit Organization. Our challenge is local animal welfare and adoption, not the political issue of animal rights. 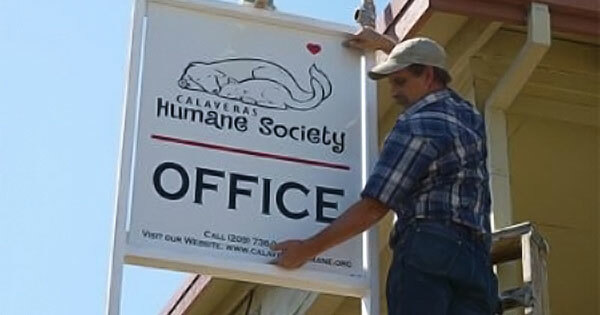 The Calaveras Humane Society relies on local donations and does not receive funding from national organizations or humane societies. If you have any questions regarding the Calaveras Humane Society, please contact us at (209) 736-9417 or email us at chs@calaverashumane.org. To learn more about how you can help, please visit our Donate or Volunteer sections.